Do you spend so much time on your phone that you just can’t be bothered to hold it anymore? Well, this could be the answer. This flexi-phone allows you to pop the centre piece out to provide an ear clip. The clip would even perform in a chameleon-like way by matching its colour to your skin tone when attached. Mobile phones have become more than a necessity. As we make our way into the future mobile phones have gained a cult status of being a way of life, a constant effort for perfection. And Ilshat Garipov’s newest design seems to take technology to a whole new level. Uniquely named Kambalaphone, it is not your average cellular phone, as far as the looks are concerned. At first look it’s hard to determine if it’s actually a phone because the novelty of its design fools the eye into thinking that it is a funny looking gadget. On a closer inspection however its true identity is revealed. The body of the phone is made of multilayered polymer and all the electronic components of the phone are cleverly placed inside between those layers. A black, ultra-slim frame of the phone is a refreshingly new design among the hoard of phone designs that we come across every day. 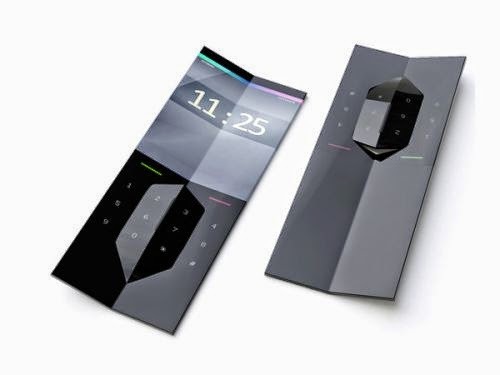 The shape and pattern of the phone resembles more like an open and very slim book than that of a conventional phone. The inner surface of the device is a touch-sensitive flexible continuous screen which displays the internal images onto the exterior. One interesting feature which is sure to win the hearts of many phone lovers is its ability to display colors. Like a flounder fish, the phone from Ilshat Garipov has the capability to take any color from its surroundings and morph into an invisible device. For example if held next to the skin, the phone can take on the skin’s hue and completely camouflage itself making it virtually impossible to see it. The main idea behind the concept of this phone is to devise a gadget which combines both the features of a phone as well as acting as wireless headphones. Garipov’s design however manages to combine the two not only successfully but also turns the design into something which has never been seen before. The wireless headphones are skillfully hidden in the phone and are visible only when you gently squeeze the phone. Upon giving it a squeeze the earpiece appears which can then be inserted in the ear to function as an earphone. Though looks and novelty quotient are amazingly high on the device the functionality remains to be seen. Many would be captivated by the linear design but there are going to be a few heads shaking in disapproval as well, especially people who like the good old mobile phones. 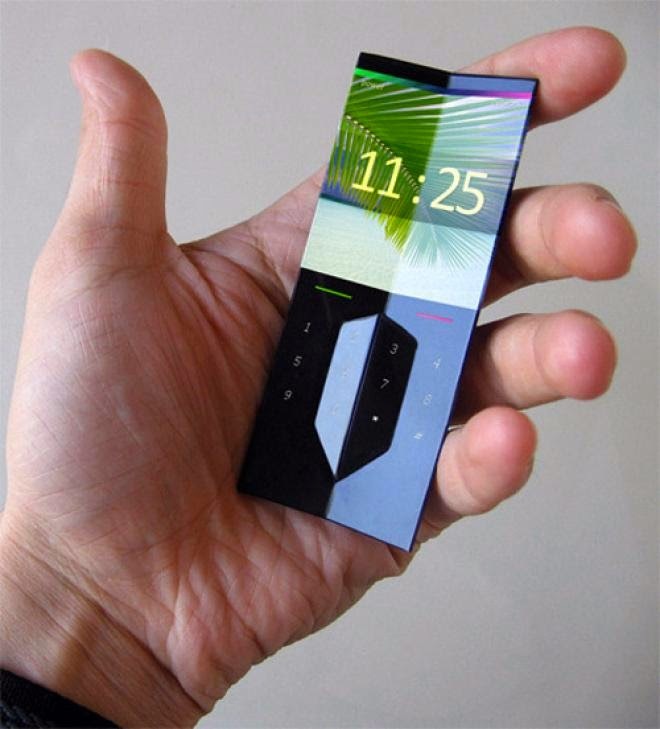 There are various other mobile concepts such as Futuristic Cellphone Designs and AVA Concept Phone that might also grab your attention.